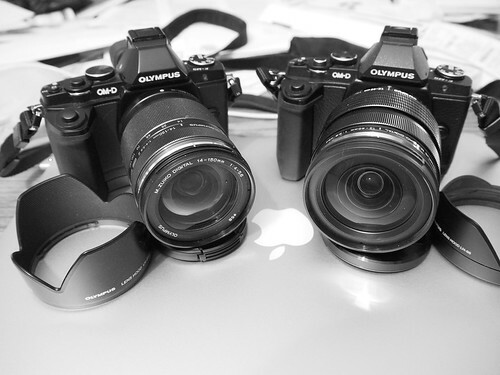 I’m a staunch Olympus user. I’ve used both film OM cameras (OM-4T) as well as any number of Olympus digital cameras (E-300, E-1, E-3, EP-2, E-M5 and E-M10, just to list a few). Everything I post in my blog is either taken with an Olympus mirrorless camera or my iPhone 6s+. In spite of this obvious bias I do pay attention to the rest of the market. In particular, I pay attention to Fuji. Fuji has been making this series of rangefinder-style cameras for the past five years, starting with the fixed lens X100 and its 23mm f/2 Fujinon. With its APS-C sized sensor, that’s equivalent to 35mm lens on a 35mm film camera. Fuji continued to evolve the X100 series, to the X100S and finally the X100T. Starting with the original release of the X100, you’d have thought that the X100 was the second coming of digital photography (and many users still feel that way). For me the hype built up so far, so fast, that my hype alarm tripped and I steered clear of the camera. Its introduction at a rather lofty $1,300 also gave me considerable pause. To Fuji’s credit they didn’t rest on their laurels. 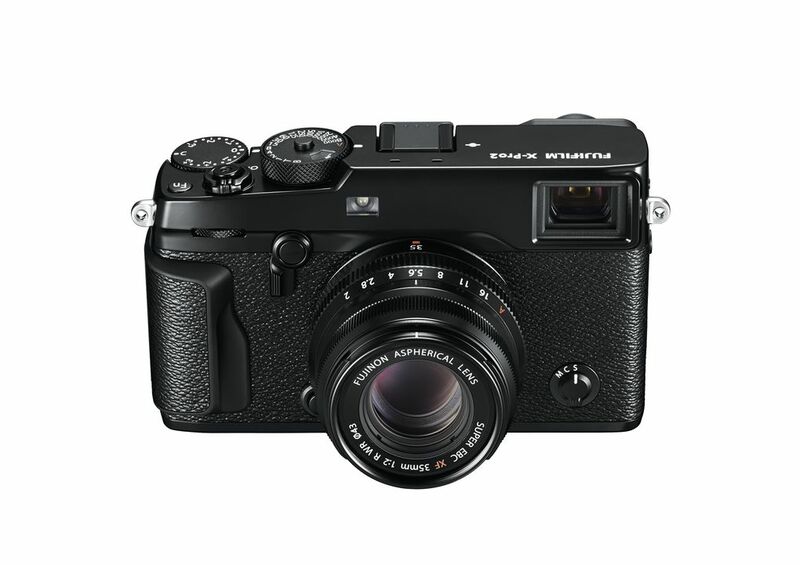 Not only did they continue to evolve the X100 series, but they introduced an equivalent, mirrorless, interchangeable lens version called the X-Pro1. At an even greater MSRP it introduced the world to a digital rangefinder design that Leica itself could have taken notes from. Still, I waited, content with my Olympus Pens. Along the way Fuji introduced several more lower priced bodies in the X-Pro1 design, then they introduced their version of the mirrorless SLR, the X-T1. Every time they put out a new camera the social networks went into a frothing frenzy of hype. 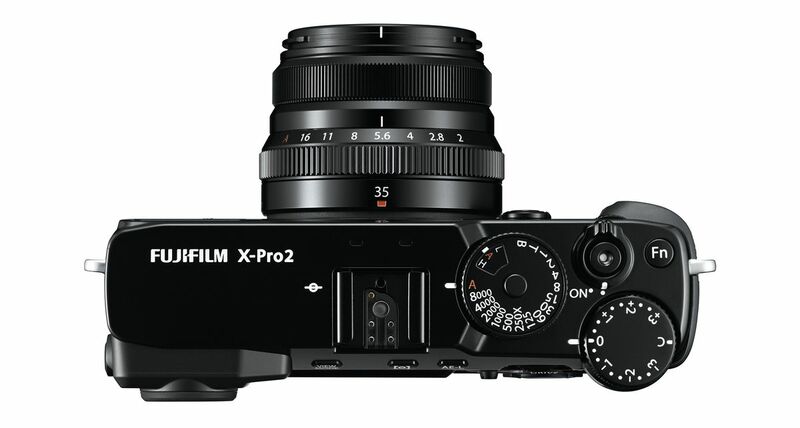 Now Fuji’s introduced their update to the X-Pro1, named rather obviously the X-Pro2. Based on the X-Pro2’s specifications (24MP sensor, weather sealing on the body, improved auto focusing, etc), it looks like the latest is very interesting indeed. Interesting enough, in spite of its introductory price, to get me to finally break down and contemplate purchasing one. Truth be told I like the design of the X-Pro series because I like the rangefinder design. I always have. It’s just that the only rangefinder left in existence up until Fuji’s entries were the Leica (yes, I know about the Voigtlander Bessa, but nothing digital). Leica is just totally unaffordable for me. Fuji is certainly cheaper by comparison, but it’s still expensive enough that it’s not something I would consider an impulse purchase. What makes the X-Pro2 interesting now is the Fujinon 35mm f/2 weather resistant (WR) lens that Fuji released last year. The X-Pro2 body is also weather resistant. The body and lens thus make a reasonably weather resistant package I wouldn’t worry taking out into the Florida heat, humidity, and rain. Weather resistance is one key reason I own a pair of Olympus E-M5 bodies and equivalent WR Zuiko lenses. Oh, and that 35mm lens is an equivalent 52.5mm on a 35mm film camera. I like the physical design, I like the sloped design of the lens. I just like the way the whole system fits together. It’s obvious that I need to hold the camera and give it a try. To that end I’m toying with the idea of renting a body and that lens to try out. Renting for a week is a whole lot cheaper than buying that body and lens and then having buyer’s remorse if, for whatever reason, the purchase doesn’t work out. I’ve a lot more interest in this camera than, say, the newly released Nikon D500 or anything from Canon. My camera needs are shifting as I get older. If anything I’m going back to my roots, the kind of 35mm film equipment I owned and used back in my 20s, which consisted primarily of several Minolta bodies and three prime lenses. Those lenses were 28mm, 50mm, and 135mm. With Fuji they’ve got the equivalent to 50mm covered. I’m hoping they’ll introduce equivalents to 28mm/35mm, such as a WR 18mm or WR 23mm, and at the long end a WR 90mm. With the latest sensor in the X-Pro2 they can all be f/2 or even f/2.8 maximum aperture. I’m not a speed freak, and wide apertures at f/1.4 or faster add inordinate cost to a lens that for the most part can’t be justified except as a bragging point. I also have no use for exotic focal lengths or zooms. All I want are the solid basics. I believe that 2016 is going to be a real watershed year for digital photography. There are truly no bad cameras anymore with regards to image quality. Now it’s all about usability and specific focal lengths, and how it all works in my hands with my mind and eye.